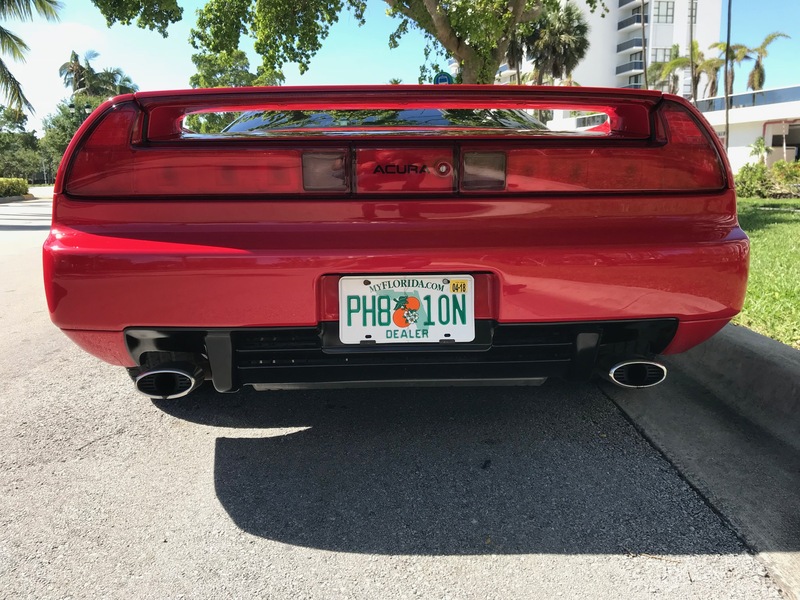 Spotted on Bring a Trailer, this museum-quality NSX is being sold in Miami. If you'd like to own a practically-new Acura NSX but find the modern, hybrid model a little too newfangled, digital, and lacking pop-up headlights, you're in luck. Spotted on Bring a Trailer is a pristine, 1993 version of Honda's mid-engined Ferrari-killer. 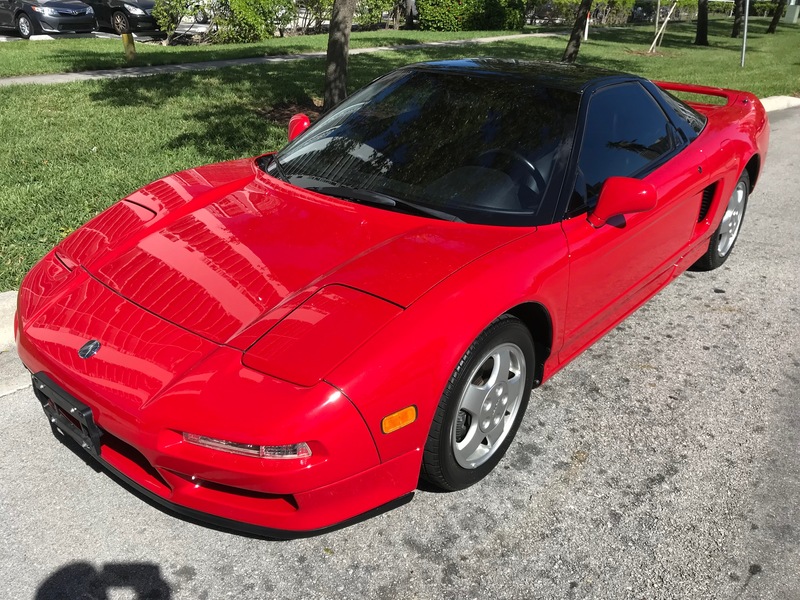 This immaculate 90s icon shows just 6,037 miles on its odometer, three owners in its Carfax history, and is currently looking for its fourth in Miami. 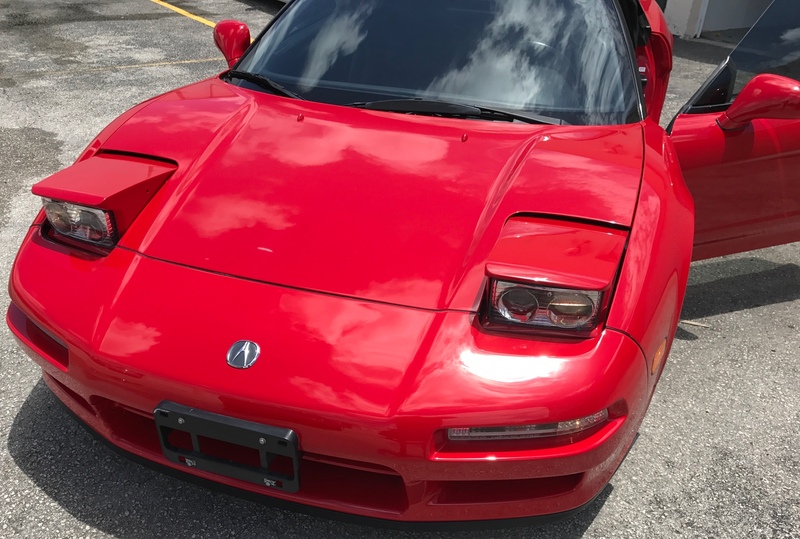 Sporting a classic, red-on-black color scheme, this NSX is equipped with the five-speed manual transmission. Modifications are minimal, likely reversible, and strictly cosmetic with the seller reporting tinted windows, red-trimmed Zanardi floor mats, and some carbon interior trim pieces. Mechanically, this rare Acura remains untouched. The car also comes with its original window sticker and all of the manuals and reading material that came with it when new. 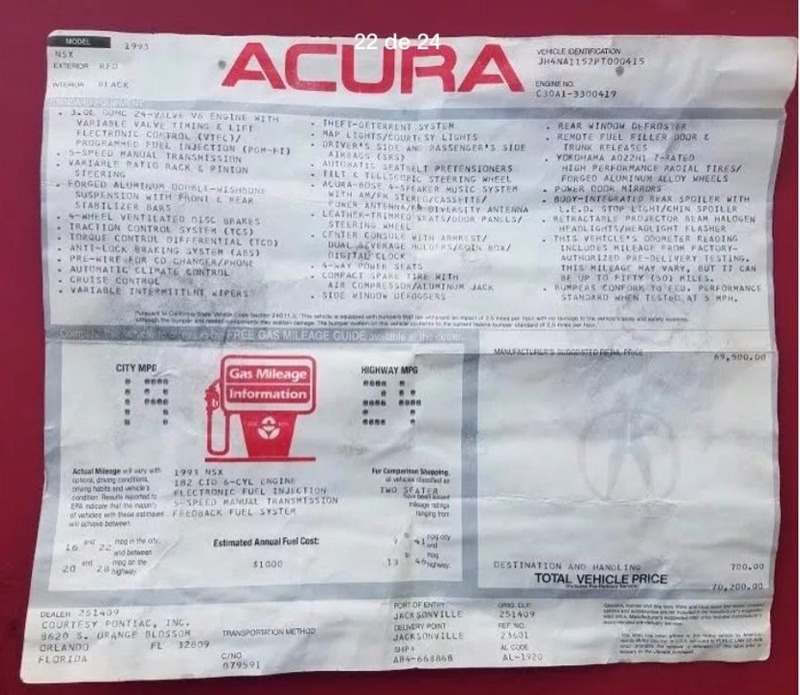 Also included are a clean Carfax report and New Jersey title. As of this writing, the auction sits at $35,000 and is set to end on Nov. 8. Powered by a mid-mounted, 3.0-liter V-6 engine, the OG NSX was famously developed with input from F1 legend Ayrton Senna and was arguably the first car to inject some reliability and practicality to the notoriously unreliable and impractical segment of exotic sports cars. 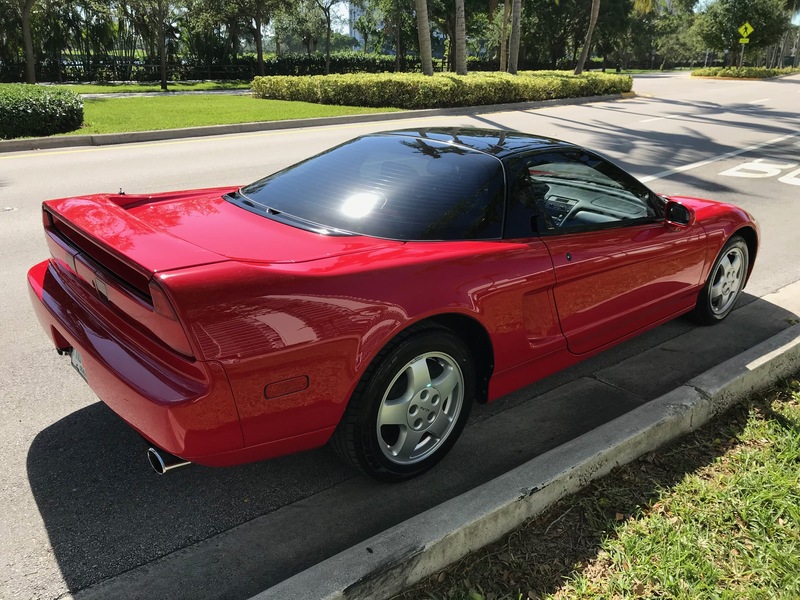 Legend has it that the Acura NSX was the result of a drunken night of passion between a Ferrari 348 and a Honda Accord. 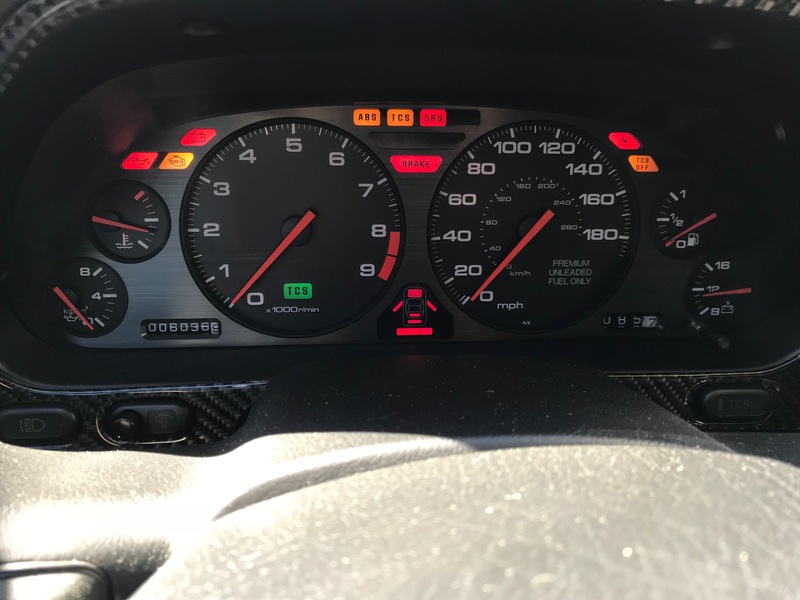 Inheriting the best of both of its parents, the 90s NSX is an exceedingly rare breed today, especially ones of this health and cleanliness. Those who'd like to own this highly collectible piece of automotive mythology will want to act fast. The new Acura NSX may be a science project, but it can also do skids. Is that even legal? 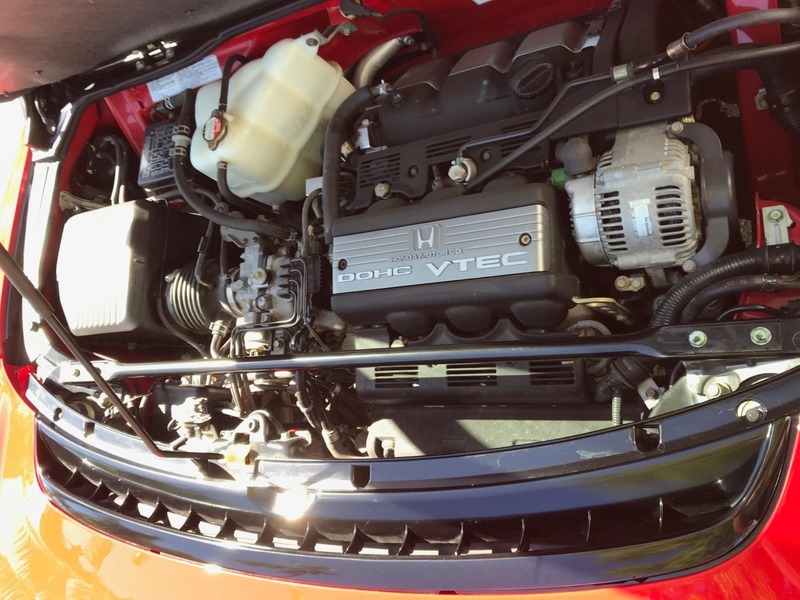 All hope is not lost for a new VTEC roadster. In case one temperamental Mitsubishi 6G72 engine wasn't enough for you. This car was suspended in time, still in factory-protective wrapping.